In Stock & Free Shipping! The Pro Comp Xtreme All Terrain Tires feature an aggressive directional tread design that combines superior On-Road and OffRoad Performance, minimal road noise and a 50,000 mile limited treadwear warranty. State-of-the-art Tri-ply construction provides greater puncture resistance in the sidewall while two steel belts and a spiral-wound nylon overwrap offer better stability and load carrying ability at highway speeds. 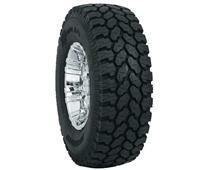 The Pro Comp Xtreme All Terrain Tire is ideally suited for heavy-duty applications. 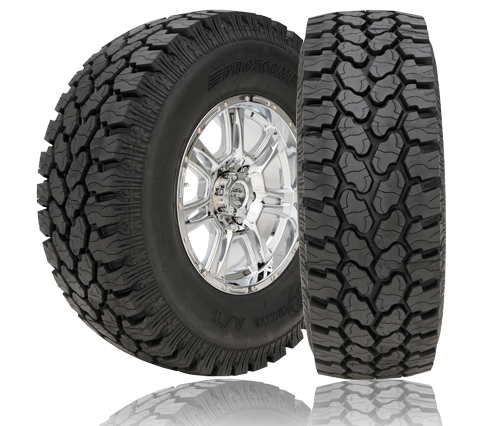 For aggressive tread, unstoppable traction, and heavy duty reliability on all surfaces, Pro Comp Xtreme All Terrain Truck Tires utilize their time-tested 3-ply design and nylon over-wrap to build a set of truck tires that offer top performance in OffRoad terrain. The Pro Comp Xtreme All Terrain Tires gives you aggressive styling, wet weather traction, incredible OffRoad capabilities and long life. Using the NEXT Generation Tire Technology lets Pro Comp Tire's give you what you've been waiting for, a Tire, that's equally at home on the street and in the dirt. Watch Out there's a New Monster under the bed! 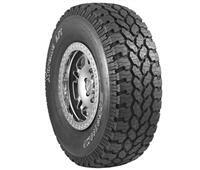 Pro Comp Xtreme All Terrain Tires come with 50,000 Mile Tread Wear Warranty. Click Here to See All Pro Comp Tires!